"Markham Homes LLC. is a fantastic company to work with. The honesty and integrity of the company was remarkable." Braden Markham, the owner of Markham Homes, prides himself on true quality craftsmanship while serving the customer at the highest level. Please give us a call to learn more about Markham Homes and our construction philosophy and what we can offer you. To view our current new homes for sale, click on the For Sale page. "Braden and Megan were always completely professional and helpful, along with being courteous and friendly. We are absolutely entralled with our new home. We couldn't be happier. The building process went smoothly and without concern. 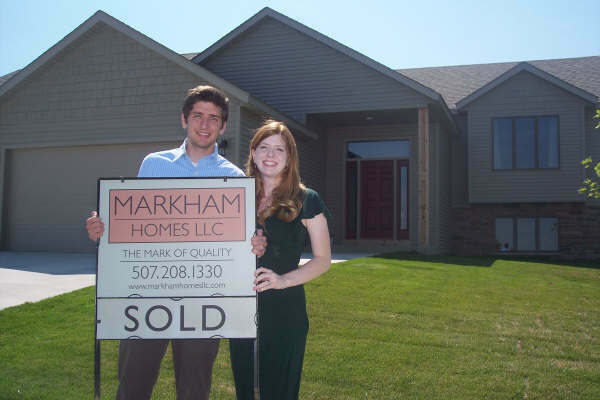 Their guidance and expertise were fully appreciated for our first home."